Joint or sole child custody is to be determined according to the best interests of the child. Neither parent is entitled to a preference. There are no factors specified in the statute. There should be nothing more important than your children’s needs. 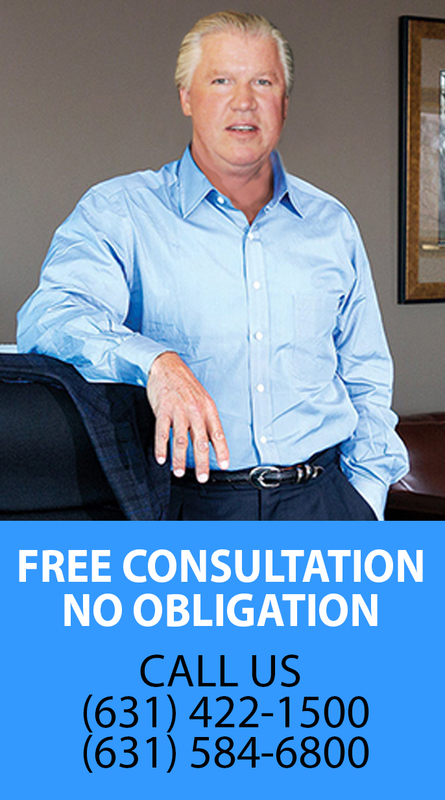 Accordingly choosing the right attorney is your most important decision. At the time of separation, the temporary custody arrangements might very well be assumed by the two parents. However, it is essential that the issues related are thoroughly discussed in order to successfully reach a binding and lasting mutual agreement. Residency, legal guardianship, and visitation serve as the foundation issues on which the legal and physical custody rights are awarded. The law typically does not play a role in temporary custody arrangements, interceding only when one spouse is deemed unsuitable, usually on grounds of alcoholism or abusiveness, and only after the respective attorney files a petition with the court. In other words, it is usually in the interest of common good to come to a satisfactory agreement, to cooperate with the estranged spouse, and to provide convenient visitation. It should not be taken for granted that the final legal custody arrangements awarded by the court will be the same as the temporary custody arrangements. To ensure the best possible outcome for the child, divorce counseling for the entire family is highly recommended. Counseling helps prevent a child from becoming a manipulative pawn or the inappropriate subject and/or source of any arguments. Most often a child views the parents as equals, and the change in relationships as a result of the divorce process can be emotionally devastating. Remember, the child is the most vulnerable person in the divorce action, and unfortunately, the legal system does not completely protect this precious commodity. Awards a parent or both parents the right to make legal decisions for the child regarding education, health care, religion, and his or her general welfare. This is when only one parent holds the right to make legal decisions for the child regarding education, health care, religion, and his or her general welfare. This is when both parents hold the right to make legal decisions for the child regarding education, health care, religion, and his or her general welfare, without either parent having superior rights. The most common form of joint legal custody designates one parent as having primary residential (i.e., physical) custody. Currently, in most states, the courts will favor joint legal custody in situations where the parents have the ability to cooperate with one another in terms of making decisions that are in “the best interest of the child.” Many divorcing parents do work very hard towards achieving this goal. Joint custody is definitely not for everyone and can only come about as a result of rational decision-making process focused on the past roles and future expectations of the parents. Defines and declares the child’s residency. This is when the child lives with one parent and the other has specific visitation rights. This is when a child is able to reside with each parent for a substantial amount of time during the course of a calendar year. The arrangement does not have to be split 50-50, but it does require some consistent plan or schedule. This type of custody arrangement is not very common, for it is rare when this type of arrangement is found to be best for a child. To plan a practical way to care for the child, with each parent pursuing the responsibilities they have had in the past. A frank discussion of traditional influences exercised in the past by each parent would be the best place to start. If the discussion never amounts to anything more than exchanging volleys of “I always did this, you never did that”, in the end the entire purpose of the conversation will be defeated. Each parent needs to acknowledge the other’s contributions made in rearing the child. It is important to give proper credit where credit is due. In short, nothing less than a positive atmosphere should prevail. The entire purpose of the conversation is to hopefully find the answer to the most important question, what custody arrangements are in “the best interests of our child?” In some instances the answer discovered might leave one parent happier than the other, but under no circumstances should the focus ever be allowed to deviate from a child’s best interest. In order to ease the parent’s burden, it is often suggested that counseling be sought and/or books be read concerning child custody issues and disputes. How will the child be reared? At this point a plan should be drafted to make certain that parties have communicated clearly. This will eliminate any lingering or potential misunderstandings that may arise in the future. Feelings of competitiveness or selfishness are not unnatural, but must not be allowed to influence any important decisions that are made. Seeking the advice of a good friend or a counselor are two avenues available to guard against these very human emotions. Proper custody arrangements are for the child’s benefit, never for that of the parents! Once a plan has been mutually agreed upon, the question of custody arrangements should fall into line. There are many different types of child custody, both legal and physical, so there are a wide variety of options available to deal with all situations. If you plan to obtain joint custody it is vital that both parties be very flexible, and always take the future into consideration. When custodial agreement cannot be reached between the two parties prior to the trial date, a great deal of preparation may be required by the client and the attorney in order to effectively petition the court for custodial rights. It is very common to seek the professional opinion and testimony of a counselor or therapist that is capable and qualified to perform child evaluations. The evaluator will study the behavior and emotions of the family relationships, and testify in court or at a deposition to explain his or her conclusions. The members of the family should be aware of the differences between the distinctive roles of the counselor and the evaluator. The evaluator merely studies the family, where as the counselor not only evaluates, but in fact, is charged with the task of providing extensive advice. An evaluation should never be sought without prior and full consent of both parties. Any subsequent evaluation should also be inclusive of both parents. The evaluation is to determine if a strong, happy, and healthy relationship exists between the child and the parent. There should be a mutual agreement on both sides to have an evaluation conducted. To emphasize the importance of this decision, the commitment should be backed by the signature of each person involved. One side should never be observed and/or evaluated without the other one present, unless previously notified and authorized. The child should be observed and evaluated on how he or she acts around each parent individually and collectively. The child may also be interviewed privately, but age and maturity always plays a vital role in this decision. The evaluator should visit the homes of each parent at a time which would best exemplify the typical family atmosphere. While this would not be a surprise visit, neither should it be coordinated or rehearsed. The child must be present at the residence for at least part of the visit. The evaluator should inquire about contacting teachers, doctors, baby-sitters, or any other people who have had a fairly close relationship with the child. These people should be called and considered for an interview. The evaluator should deliver reports to each party concurrently, and a session should be made available in which each parent can address any questions as well as receive information about the child and the family relationships. The judicial system in each state considers numerous factors in arriving at a final and proper child custody arrangement. After reviewing all of these factors, the Wisconsin Supreme Court devised a guideline for a child’s rights. he obligation of being a parent does not end after a divorce. It is extremely important to understand that the bond of marriage is completely different from that of parents. This is the most common down fall in today’s society, as a dissolution of marriage takes place so does that of parenting. If the spouses reside in different states, or the family has recently moved to another state, the question of which specific state has the proper authority and jurisdiction to hear a child custody case might arise. The Uniform Child Custody Jurisdiction Act has established a uniform law that all 50 states are required to abide by. This legislation was passed in order to resolve these issues, which has helped prevent the problems of child-napping by parents who are dissatisfied with a particular state’s decision. Mr. McCulloh has extensive experience in this matter and could have your children returned to the state within 72 hours. In the past it was not uncommon for a parent who has lost a custody battle to take the child across state lines in an attempt to have another state’s court award new custody arrangments. A set of standardized guidelines have been established to evaluate which specific state should have sole power over making the custody decisions, so presently there is seldom a dispute between states regarding custodial jurisdiction. If a non-custodial parent snatches a child, at which time you are unable to or feel unsafe to go where he or she is living to retrieve the child, talk to your attorney and if need be file an immediate petition for contempt of court. This is “Child-napping,” which is subject to severe penalties. Mr. McCulloh has extensive experience in this matter and could have your children returned to the state within 72 hours. William McCulloh also specializes in other Family Law areas involving Child Support, Orders of Protection, Juvenile Delinquency, Visitation and Relocation with Children issues. His office will represent your position aggressively and competently from the day the petition is filed through the final disposition. William McCulloh’s 24 years of combined Legal and Law enforcement experience in this field will give you a significant advantage. Are there guidelines for child custody in New York? Most parents realize that it is best for them to decide on custody, support and visitation without the help of the court. Leaving these issues up to the court creates an element of surprise that most individuals can live without. New York does have Child Custody Guidelines like most states which will come into play if the parents are incapable of being rational with one another in making these ever so important decisions. How much influence does my child have in custody declaration? Much of this depends upon the child’s age. The older the child, the more influence he or she will be able to exert on the court. Although the court does have the final say, the testimony of a child oftentimes places significant weight on the judicial scales. Not all states consider child’s wishes. What if the wife is pregnant at the time of separation and divorce? The unborn child is to be treated no differently than any living child. Does a homo-sexual parent have equal rights to custody? The homo-sexual parent should have equal rights as any other parent, with the decision obliged to and contingent upon the ultimate concern for the best interest and general welfare of the child. If under this criteria the homo-sexual parent measures best, then proper custody should be awarded. Can custody rights change in New York? Absolutely. It is recommended that periodic evaluations of the parenting plan be made. This is important because so many factors can be modified or altered over a short period following the divorce, such as change in employment, residence, or marital status. Who normally gets physical custody? In majority of the cases, the mother is granted physical custody. However, in some instances, the mother works nights or is heavily involved in educational pursuit. In cases of this sort, physical custody is often granted to the father. Does there need to be custody agreements? It is required by law, for at least one parent to always be legally responsible for the child. Any change in the status of custody rights must also always be made in concern with the judicial system. Can a non-parent obtain custody of my child? It is possible. However, the court must be petitioned with the case being presented that the non-parent has a meaningful relationship with the child, and that the welfare of the child is best in the non-parent’s hands. How is child custody jurisdiction established? Recent laws have been passed concerning child-napping. If one parent disagrees with the court’s decision, he or she might attempt to take the child to another state and thus ( each state has different guidelines ) re-open the issue of custodial rights. There are several elements which determine the proper state in which child custody is determined: length of time the child has resided in the state, any previous court proceedings regardless of respective state concerning child custody, the residency of each parent, and so on. Can my child be used as a witness in court? In most states but not all the child’s wishes are given consideration. With respect to testifying on divorce grounds or custodial issues the judge has his or her discretion. Before the custodial arraignments are set, should I ask my child with whom he/she would want to live ? This would put the child in a horrible situation. The worst thing a child must do is make a statement choosing the parent he or she would want to live with. In a lot of cases it must eventually be done, but if the child has not come forward, then a parent should probably not ask. How long does the child custody evaluation process take? Any evaluation should be initiated at least six weeks prior to the court date. This process should never be hastened or undergone without full intentions of completion. A full evaluation takes about four weeks, assuming relative distance proximity between both the parents and the evaluator. What is the typical judicial attitude towards custody? Not, surprisingly, it is women who are most in favor. Perhaps this is due to the recognition of the value of maternal instinct. For whatever reason, it has been the precedence set in the past and traditionally many judges find it difficult to change their ways. However, with the changing of socio-economic structure of contemporary society, fathers are beginning to have a more significant parenting role. What are parent’s attitudes towards custody? Again, not surprisingly, women are usually more wanting of custody than fathers, but the percentage of the fathers petitioning for custody is growing. This is very commonplace in a dual-income household. After divorce, how do the majority of parents react to custody arrangements? Typically, the parents abide by the court-ordered arrangements for custody. However, it is not uncommon for the terms to change shortly thereafter the divorce due to change in lifestyles. (i.e., re-marrying, financial problems).